For some people to get a rush of adrenalin, they may like to jump out of a plane, bungee jump, or mountain cycle on Death Road. For me, all that is needed is to look over a two storey balcony. Whatever it takes, the following adrenalin activities are sure to get that blood running mighty fast through your veins. There are some real extraordinary activities in this world that will blow your mind, and you should really consider adding them to your bucket list. Pushing my limits is something I have been trying since edging closer and closer to the big 3-0. To prove to yourself that you are able to do things you never thought possible, or overcoming a fear which you thought you were destined to live with forever is the biggest boost you can give yourself. Without sounding totally lame, life really is for living. It's pretty amazing, and I cherish every step of my journey. So why not be bigger, be greater, be amazing, and be the best you can be. And you can start by throwing yourself out of something. Read on for the top adrenalin rushing activities, and where you can take part in your Aussie State. Hey Maverick. Yeah, I saw Top Gun. Who knew you could actually experience the same for yourself in real life. The thing is, few companies around the world provide the experience of taking a ride in a high performance ex-military jet. But, you can with Jet Fighter. As a passenger, you can witness extreme speeds up to 800kmph, and experience amazing G-forces and a host of military combat manoeuvres and tactical aerobatics. But don't let the topsy turvy-ness make you say 'no' just yet. They cater to the individual, flying mild, or flying wild. You can choose to sit and relax and take in the amazing views, or be a part of the ultimate gun attack mission (minus the gun attacking, of course). Passengers will sit right up front with the pilot, giving them a full 360 degree view through the clear canopies. - Hot Shot - Jet Mission. 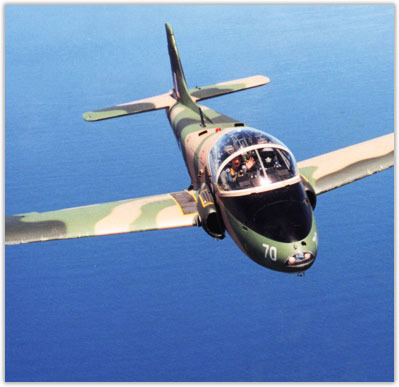 A 20 minute High Altitude Air Combat Mission in the BAC Strikemaster Jet. Here, you'll climb 10,000 - 14,000ft over magnificent coastal locations. You'll also experience a full range of aerobatics, aileron and barrel rolls and many others. 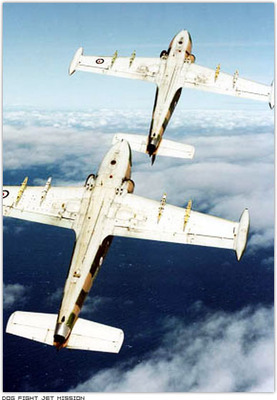 You'll then move in to fighter tactical manoeuvres that the jet was designed for, including scenarios of being attacked, evading the attack and taking the superior position. - Air Combat "Dog Fight" - Jet Mission. 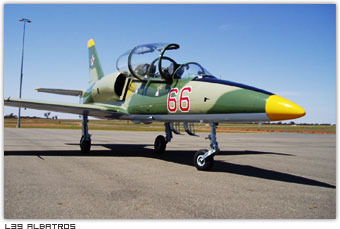 This 40 minute mission involves a two BAC Strikemaster Jet Aircraft, and is tailored to the passenger. This is the ultimate Jet Fighter experience, where you'll go head to head in an air combat dog fight. You'll fly a simulated military style air combat attack operation. This mission includes the full range of aerobatics, extreme speed, high and low G, high speed fighter combat manoeuvres, tactical manoeuvres, advanced combat manoeuvring, and enemy targeting. You can check out the other missions available here. Jet Fighter operates from Port Macquarie, Newcastle and Lismore. Find out more about these locations here. Remember how I said that to get my adrenalin rush, I just look over a two storey balcony? Just imagine my extreme excitement if I ever went skydiving. At Jump the Beach Brisbane you can free-fall from 14,000ft with a beach tandem Skydive. Which sounds a little easier when I'm strapped to someone else and looking over the beautiful Moreton Bay and Glasshouse Mountains. And, considering almost anyone over the age of 14 can participate, I really wouldn't want to look like a wuss, would I? You don't need any prior training to tandem skydive. Jump The Beach Brisbane will teach you everything you need to know before you take that leap. You'll be attached with your harness to one of their tandem skydiving masters who will guide you out of the plane. All you have to do is enjoy the magnificent view. And if you're me, maybe freak out a little. You'll free-fall 4000 metres at 200kph, for up to 60 seconds. Then you'll glide on down with your parachute for around five minutes. And to top it all off, you'll get an amazing beach landing. And if that all sounds like it's going to go too quickly for you, you can re-live the experience and purchase a DVD of your jump. Personally, I'd pass on that option because I can only imagine my closest friends and relatives would steal it to watch for their amusement. Maybe even screening it for a laugh at our Christmas get together. So what are you waiting for? Jump on it. And in the words of Tom Petty, you'll be free falling. I've never quite understood how a giant balloon can fly you around. It sounds pretty great, but all I can think of is how easily my dog used to pop a balloon. After reading over some info on it, I was pleasantly surprised that no dog would be able to pop a hot air balloon. So I'm now swayed towards giving it a go. There are many places around Australia offering this experience, and I can't think of too many countries better than ours to give it a go. Windward Balloon Adventures in Western Australia have been flying for 29 years, which most certainly has to put your mind at ease. 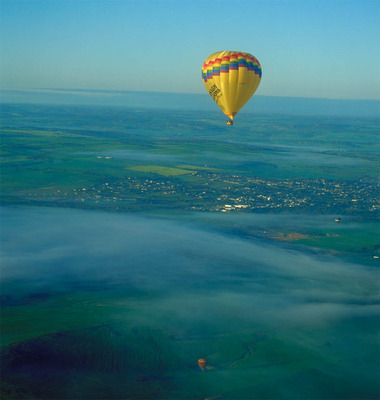 They'll fly fly you away on an enchanting deluxe sunrise balloon flight over the Avon Valley. You'll depart just before sunrise, then once on board, your pilot (thankfully not Jet Fighter) will run through a little safety this and that, and then you're off. You'll drift for up to an hour, taking in some of the most magnificent views of WA. Your pilot will even provide a little commentary on the region, and some science behind ballooning itself. After disembarking, the mighty big balloon will be packed up, and you'll head to Fountain Restaurant to gobble up some brekky and champagne. You'll then be presented with a nifty certificate that says 'I flew in a hot air balloon', so you can hang it on your wall and make all your friends super jealous. If you're not doing it for your own little rush of excitement, I'm sure your friends and family would approve of a gift like this. Check out the website for more. Vrooooooom. That's the noise you can make when you take a few laps in a V8 Race Car. Clearly I know not much about cars, but that probably wouldn't stop me from wanting to drive one really, really fast on my own designated track. On average, I beat more people on Arcade Daytona than I lose to, so I think I could be good at this. And my, apparently it's quite an adrenalin rush. So it makes the list. V8RACE has so many different options on offer, I couldn't possibly name them all, so I'll send you here to have a read. There are a couple I'd like to mention though, because they seem pretty radical. - John Bowe's Race Mates Experience $399 - Yep. You can get up close and personal with a real expert, John Bowe. The two time Bathurst winner and Australian Touring Car Champion. Your day includes a buffet breakfast in a trackside suite, where John will speak candidly about his experiences, with an opportunity to ask him questions. Then, you'll take four fast laps riding with John Bowe, get yourself a framed photograph with him (aww) and an autographed V8RACE cap. - Adrenalin Double Hit $389 - Bam Bam. That's you getting hit with two lots of adrenalin. You'll get yourself 5 laps (15.5km's) driving plus a 4 Lap (12.4km's) Front Seat Passenger Ride around the Sandown Raceway. Weeeeeee. V8RACE also operate in other locations around the country. Visit V8Race.com for full details. Daaaa dun. Daaaa dun. Daaaa dun daa dun da dun da dun da dun. That's all I think about when I think about sharks. So for me, this would be an adrenalin rush at the very highest of levels. Which weirdly makes me want to give it a try all the more. 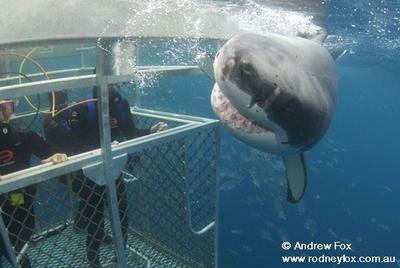 And if so, I'd want to go to the man Rodney Fox at Rodney Fox Shark Expeditions in South Australia. Since pioneering shark cage diving over 40-years ago, Rodney Fox and his son Andrew have been at the forefront of human interaction with great white sharks. So it's safe to say they know these creatures inside out. On your day of departure, you'll travel out through the sheltered gulf waters and islands of the Spencer Gulf and Thorny Passage. Depending on the weather, you may stop off at Hopkins Island to snorkel with the Australian Sea Lions. When you're on location, you'll start looking out for sharks. You'll start cage diving in the surface cages on the first day, and usually wait until the second day to lower the submersible cage dives to the bottom. From then on, your activity revolves around shark activity. In the evenings, you'll have dinner, star gaze, and view photos and video from the day. Apart from the amazing experience you'll have, one in which I'm sure you'll never forget, just imagine the photos you'll get. 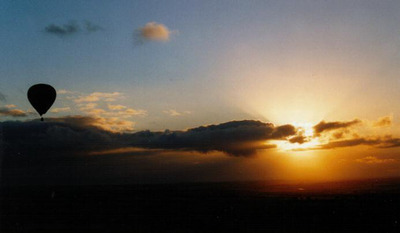 Expeditions go over four days, and you can check out dates for 2011 here. Utter craziness? Maybe. But adrenalin factor? Around 10,000 I'd say. How about the name of the company, Devil Jet. If that doesn't scare you, the ride sure will. 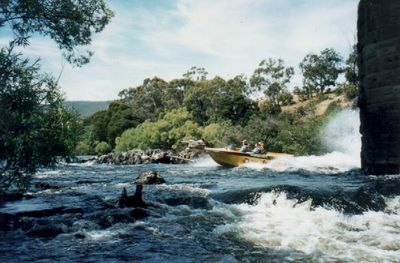 On the Devil Jet, you'll get thirty minutes of action packed excitement on the upper reaches of the Derwent River. 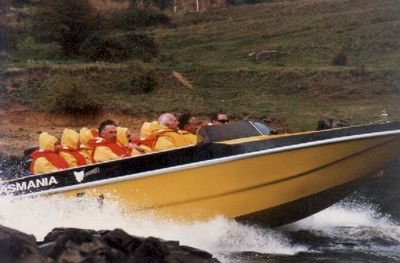 The boat - a Harwood 5.9 metre 12-seater Jet Boat designed and built in Tasmania, especially for the Derwent River conditions. You'll skim over the exploding white water between exposed rocks on this 20 kilometre round trip. Add in a few 360 spins throughout, and you're up for a whopping good jet boat adventure. All age groups are catered for, so if you're kids are up for some real adventure, away from the likes of Halo and Xbox, be sure to take them along. It could turn out to be a great gift too. I got this gift for my sisters' and their partners, and from what they told me, they had a super dooper, adrenalin rush of a time. And they didn't come out of it dry. When I went to Bali about 15 years ago, everyone that I went with went tandem parasailing. Something about parasailing in Bali made me feel a bit unsafe, and also the thought of a young Balanese kid with his legs wrapped around my waist wasn't the most delightful of thoughts. So I was the only one in the group who didn't take part. Then, for the rest of the trip I had to listen to how amazing it was, and that I should have gone. Luckily, the same experience is offered all over Australia. 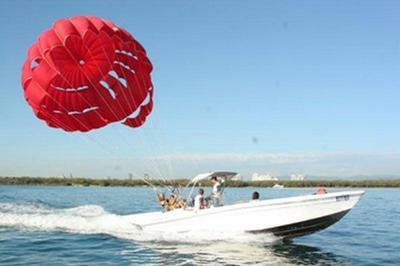 FreemanX Australia can get you up, up and away tandem parasailing in Sydney, Brisbane, Port Stephens and the Gold Coast. Soar over the Gold Coast, or take in the views of the Harbour Bridge. There's gotta be no better view than from right up above. Prices start from $75, and you can check out the packages on offer right here. FreemanX even offer packages where you can parasail, and jet boat (Not at the same time of course). So you're a bit of a clown. Why not act like one, for real? 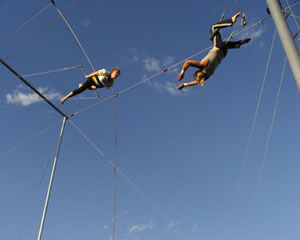 All around Australia, Mad About Sports offer flying trapeze circus workshops and lessons for all ages. And I can only imagine this would give me a pretty big rush, because your legs are basically wrapped around the bar, and you let your arms go free, swing right out and grab someone else's arms. How's that for a party trick? All the different courses and workshops available are here. 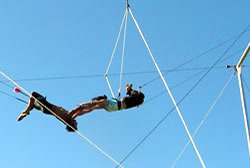 Like the Flying Trapeze course on the Sunshine Coast. From just $60, you'll learn how to 'take off' on your first flight, all whilst in a safety harness of course, to swinging around, then landing that big catch. After 90 minutes, you'll want to run off and join the circus, and maybe you can with your little certificate of completion in hand. Wow, all those times I told my parents I would run away to the circus could finally turn in to a reality. Or was it them telling me to run off to the circus, please? So there you have it, some of the top Aussie activities to get your adrenalin pumping. Just reading it got your blood pumping a little, yeah?